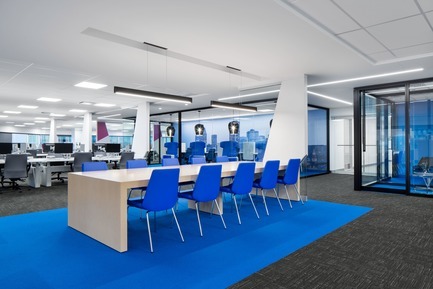 VAD Designers d’espaces—in collaboration with National Bank’s Premises Department—developed and orchestrated a new design concept for the workspaces at the National Bank Tower in Downtown Montreal. 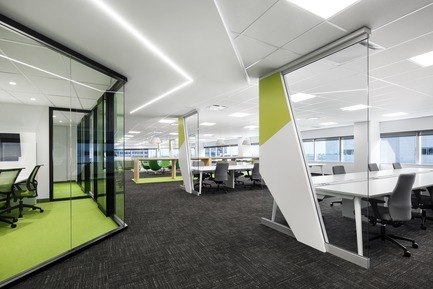 VAD Designers d’espaces—in collaboration with National Bank’s Premises Department—developed and orchestrated a new dynamic workspace concept at the financial corporation’s current head offices. 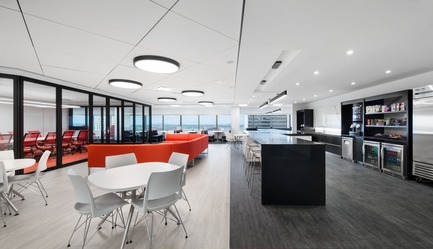 The project, which introduces new ways of working, is gradually unfolding across the floors of the National Bank Tower, located at 600 de la Gauchetière. 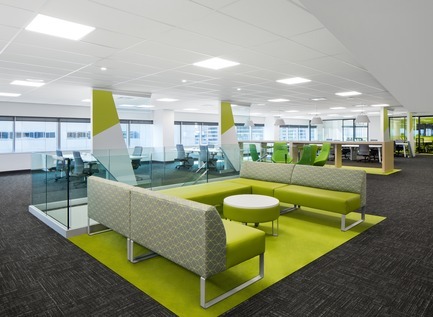 Pursuing its momentum in collaboration and connectivity practices, National Bank’s new work environment takes place in a colorful sectored layout where transparency rules. 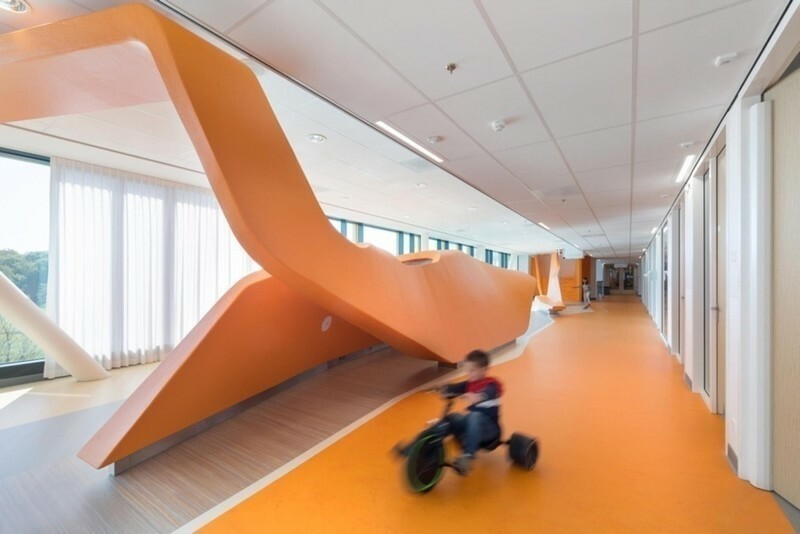 Initiated by an important audit period, directed by the Premises Department, in collaboration with Gensler, the project was then handed to the designers at VAD, for interpretation. 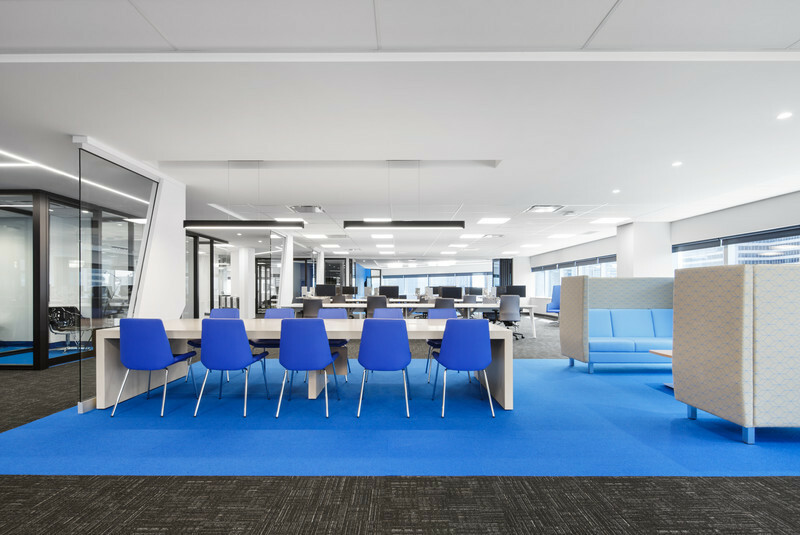 Benefiting from the building’s octagonal shape and its abundant natural lighting, the shared workstations and unassigned work benches border the windows, dispersed methodically to the rhythm of a palette of five pigmented hues. Colors and angles bounce off each other and serve as visual guides for the personnel. 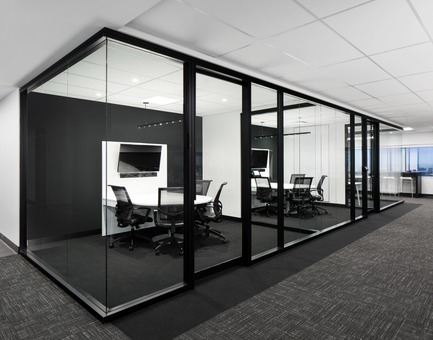 Clear glass, brilliant color and abundant light animate the meeting rooms, privacy nooks, and interactive areas, boldly redefining workplace standards and offering users a broad range of opportunities. 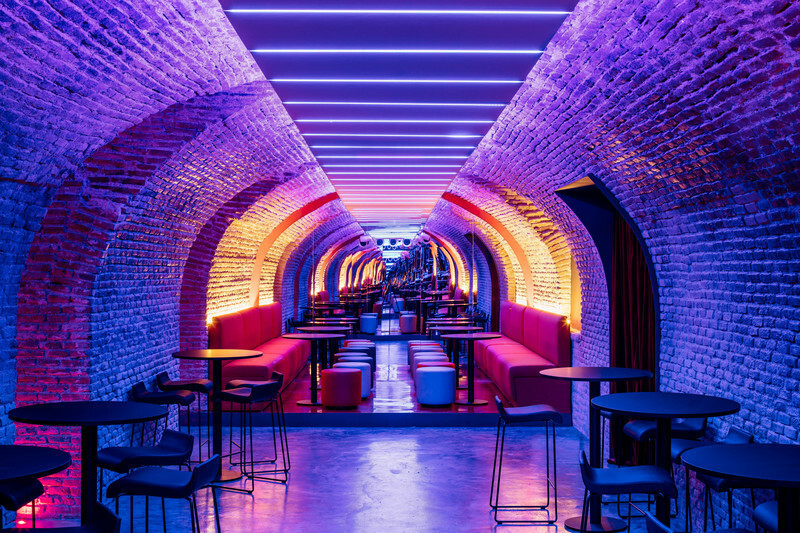 natural light sources and the vibrant color palette reinforce the distinctive identity of the space, and facilitate its appropriation by the staff. 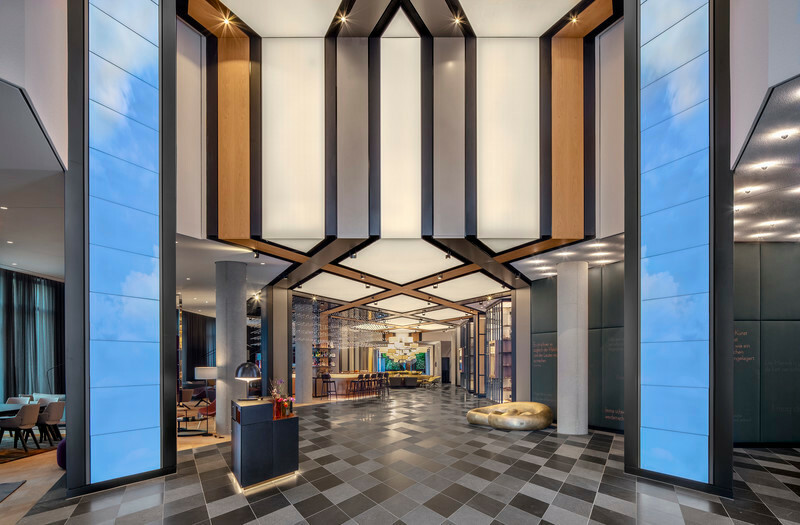 With this transition towards a new work model, National Bank reassesses its position of an innovative financial institution, open to evolving office planning practices. 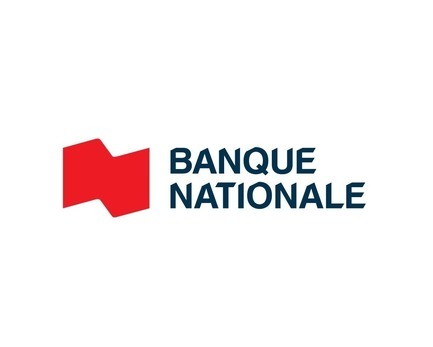 The new environment, which is already occupied by a portion of the staff, will serve as a pilot project for the years to come; guiding the collaborative work methods through National Bank’s different departments, regrouped into smaller organized communities called “neighbourhoods”. 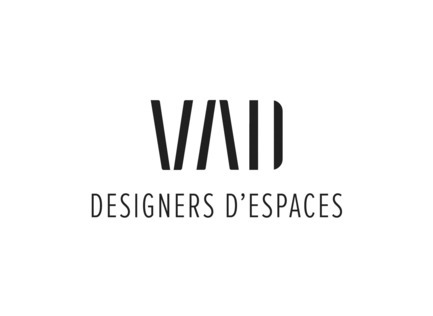 Size: over 100,000 sq ft.
VAD is an interior design firm specialized in corporate, institutional and commercial spaces, operating nationwide. 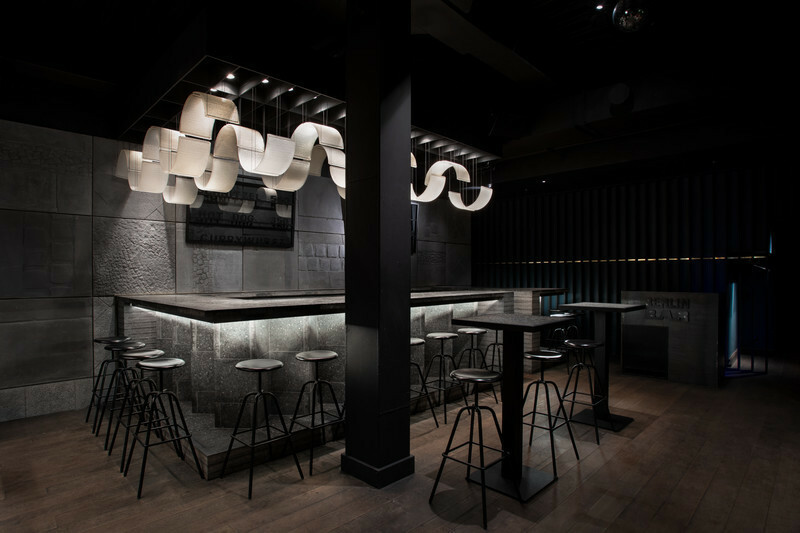 Guided by instinct, authenticity and sensibility, a team of 25 creators combines innovative ideas, and precise methodology to conceive environments that reflect their clients’ culture. Each new project is an opportunity to deploy their unique vision and design knowledge centred around the human experience. Instead of traditional power poles, the custom-designed columns, at each work bench's extremity, also serve a wayfinding purpose for users navigating through the open layout. The designers, playing with high contrast levels, opted for precise angles and clean breaks between pigments. Large communal table with a view on the library, that features a stylized mural of Montreal's cityscape. From this angle, four types of work zones can be seen : In the foreground, a large communal table welcomes quiet collaboration and «alone together» time, while the face-to-face privacy booths serve as an impromptu meeting area. On the left, a glass-enclosed phone booth allows confidentiality and improves noise control in the open layout. In the background, the shared work benches are flooded with natural light, and offer users a clear overall view of their surroundings. 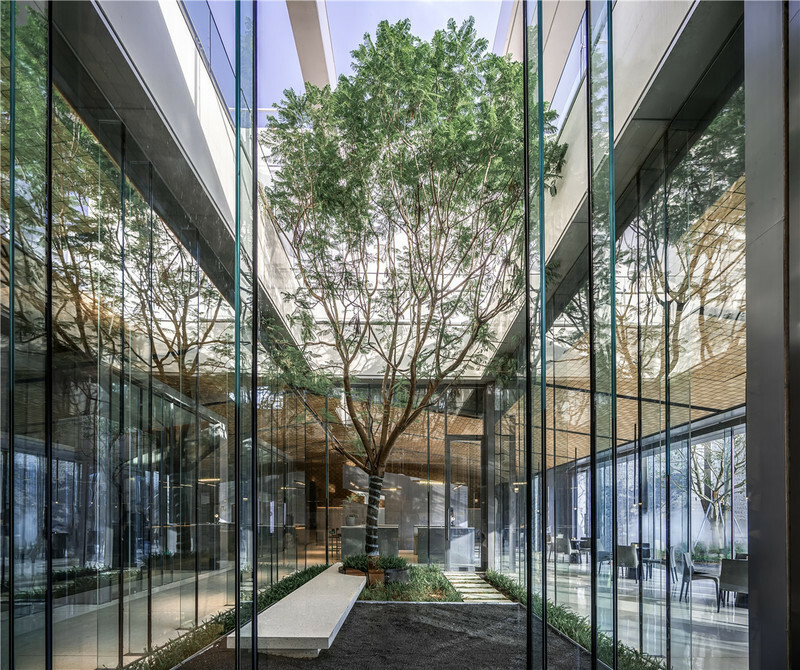 A casual gathering retreat borders the glass-enclosed staircase linking the 18th and 19th floor. 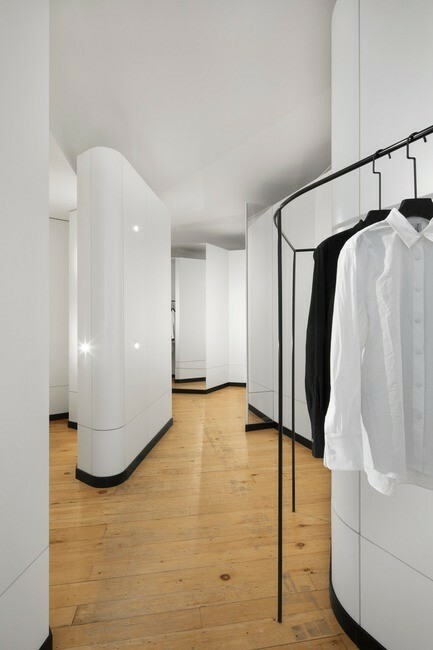 Lockers are seamlessly integrated to the concept, in a white alcove. 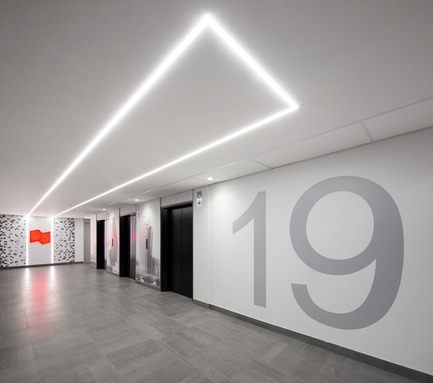 Above, a ceiling drop replicates the traffic zone's path and contains integrated LED lighting, supporting the modern esthetic of the space. 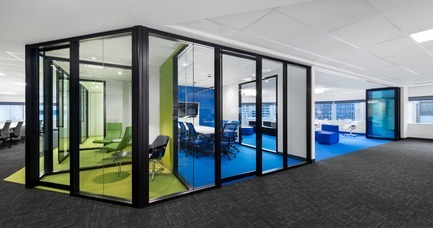 Collaboration zones and meeting rooms are easily identifiable, from anywhere on the floor, by the colorful blocks on the walls and ground. Meeting room and single-user booth leading to the bistro. The bistro area serves as a complementary eating area, seeing as the building holds a new large-capacity cafeteria on the second floor. The bistro can serve as a work-café, can host team events, or become an alternate meeting space, and lounge. The halls were also updated. 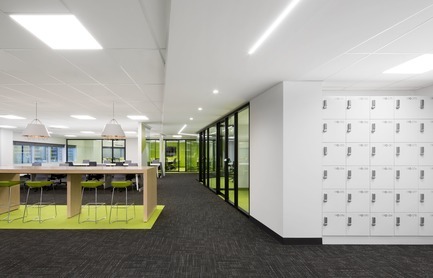 VAD is an interior design firm specialized in corporate, institutional and commercial spaces, operating nationwide. 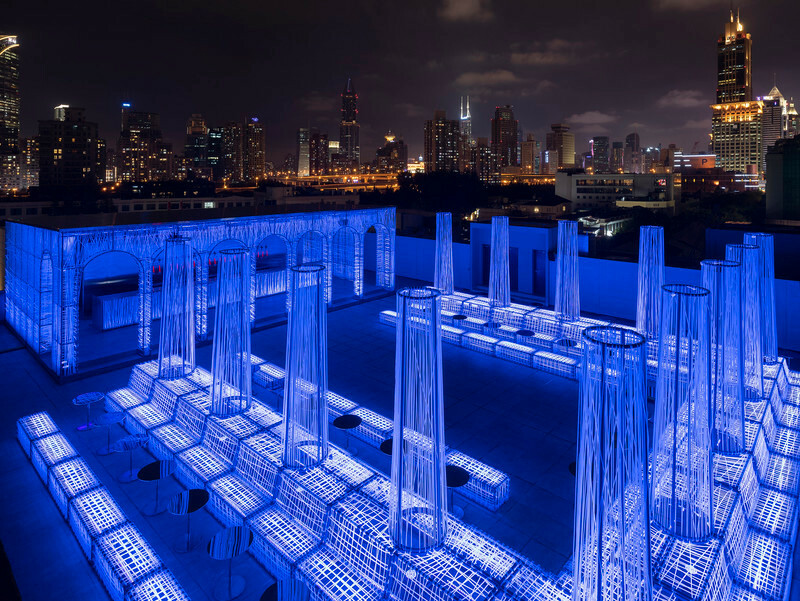 Guided by instinct, authenticity and sensibility, a team of 25 creators combine innovative ideas, and precise methodology to conceive environments that reflect their clients' culture. Each new project is an opportunity to deploy their unique vision and design knowledge centered around the human experience.